Time didn’t allow me to explain that this was not actually a Snoopy original. 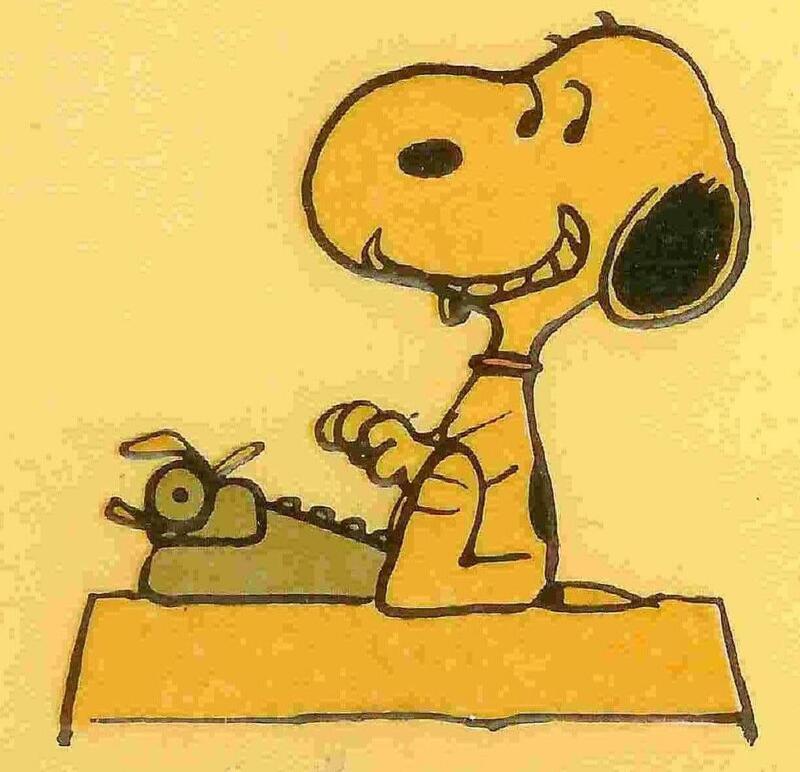 The celebrated incipit was dognapped by Snoopy’s creator, Charles M. Schulz, from Edward George Earle Lytton Bulwer-Lytton, a mid-19th century English novelist, poet, playwright and politician who also coined phrases such as “the great unwashed”, “pursuit of the almighty dollar” and “the pen is mightier than the sword”. Generally speaking, Schulz was anything but a plagiarist. He was very much a God-fearing Christian who did not covet other men’s sayings. Yet since Schulz’s death in 2000, biographers have analysed him as a man who used his famous Peanuts comic strip to get square with people against whom he had long held grudges. Some might have been bullies from his school days, for whom a bit of comeuppance through a cartoon might seem only fair and reasonable. But others were girlfriends who ditched “Sparky” Schultz for other more desired suitors, and a lifelong bitterness over this does not perhaps reflect well on a man who made us all laugh out loud when our raw nerves were tickled at one time or another from the early 1960s on into the 21st century. So, apparently, Lord Lytton’s line about the pen being mightier than the sword came to represent a sentiment in which both Schulz and Snoopy, each of them ultimately vengeful above all else, truly believed. 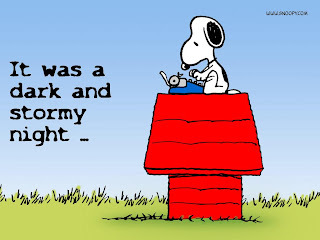 Still, it was on a “dark and stormy night” that Snoopy got stuck for evermore, never to advance on The Great American Novel. Lytton had used it in the opening of his 1830 Paul Clifford, but managed to get past it : “… the rain fell in torrents, except at occasional intervals, when it was checked by a violent gust of wind which swept up the streets …”. 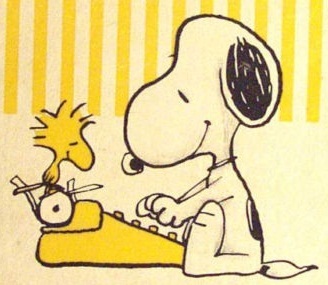 In spite of many attempts, Snoopy failed to make anything really work beyond the first seven words. He was doomed to eternal writers’ block, washed up on the rocks of that dark and stormy night. Naturally, Charles Schulz’s son Monte disliked Michaelis’s book, saying he wanted to tell newspapers he thought it was stupid. But most reviewers raved about the book, praising Michaelis for highlighting Schulz’s ability to rise, as so many great funny men have done, above his own depression to entertain the world. Peanuts ultimately ran in 2400 newspapers in 68 countries and in 21 languages. This ensured that Snoopy, while never actually a sergeant-major in the Foreign Legion or a World War I air ace flying a Sopwith Camel, or a golf pro or an astronaut or Joe Cool, was in all reality the world’s best known typist in the last quarter of the 20th century. No other typist came near him. What a great post. I laughed out loud at the start and love the idea of your paper. I confess that I'm not as familiar with Snoopy as I probably should be, but I've (hopefully) corrected that by subscribing to daily Snoopy comics. What a fascinating post. 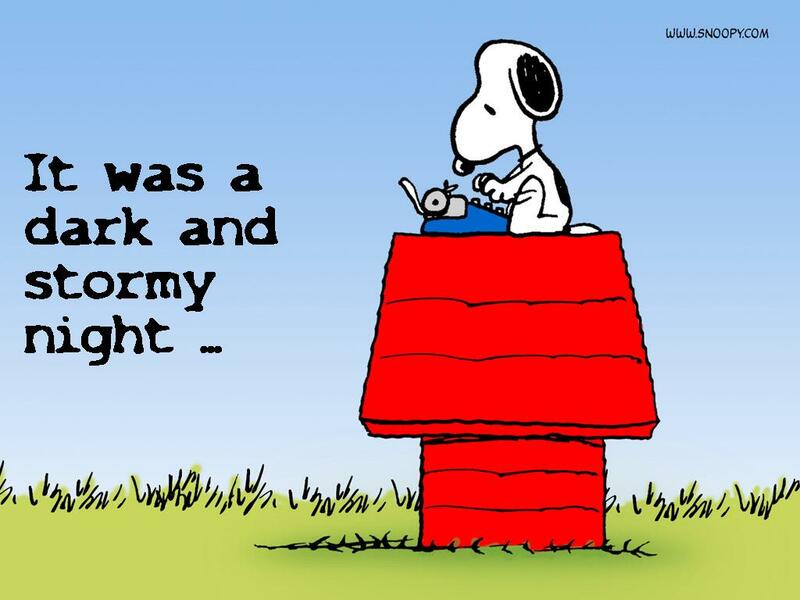 As a lifelong Peanuts fan, I've enjoyed thousands of strips depicting Snoopy typing It Was a Dark and Stormy Night on his dog house, or flying it as a Sopwith Camel, etc., I never knew there was more of a story behind the typewriter.